This is a complete guide to install Windows 10 from a bootable USB. One of the main advantages of installing a version of Windows operating system from a bootable USB is speed, especially when compared to the traditional way of installing Windows from a DVD. Even though there are ample amount of free utilities out there to help you create a bootable USB of Windows 10 with a few mouse clicks, it’s possible to prepare the bootable USB without using third-party utilities. All you need to do is execute a bunch of commands in the Command Prompt to make your Windows 10 bootable USB. The other advantage of the Command Prompt is that it’s error free, meaning you will be able to create the bootable USB without encountering any errors when commands are entered properly. The method we use for creating a bootable Windows 10 is USB is the same as the method we use for previous versions of Windows operating system. In other words, the procedure is pretty much the same and should not take more than 10 minutes when done correctly. Here is how you can make bootable USB of Windows 10 from the Command Prompt using the Diskpart command. Important: Before you proceed to prepare your Windows 10 bootable media, please check the version of Windows 7/8/8.1 on which you are going to make the bootable USB of Windows. This is because, you can’t prepare the bootable USB of 64-bit of Windows 10 on a PC running Windows 7, Windows 8, or Windows 8.1. In simple words, you can’t use 32-bit installation of Windows to prepare the bootable USB of 64-bit Windows. # It’s not possible to create 64-bit version of Windows 10 bootable USB on a PC running 32-bit version of Windows. # You need x64 version of Windows 7/8/8.1 to prepare bootable USB of Windows 10 x64. Step 1: Connect your USB drive to Windows 7 or Windows 8 PC and move all important data to a safe location as the drive will be erased during the process. We also suggest you un-plug any other external hard drive connected to avoid selecting a wrong drive during the drive selection. Step 2: Open elevated Command Prompt. 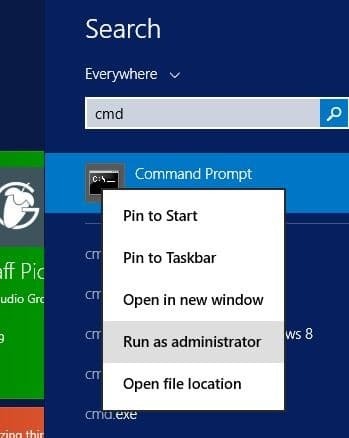 To do so, you can type CMD in Start menu or Start screen and then simultaneously press Ctrl + Shift + Enter keys. Windows 7 users can also navigate to Start menu, All Programs, Accessories, right-click on Command Prompt and then click Run as administrator option. Click Yes button when you see the UAC prompt to continue. Note that it’s very important to open Command Prompt as administrator to avoid errors. Be sure to open the elevated prompt. Most users ignore this step and end up errors while preparing the bootable USB. When you’re launching Command Prompt, you’ll see the UAC prompt where you need to click the Yes button. 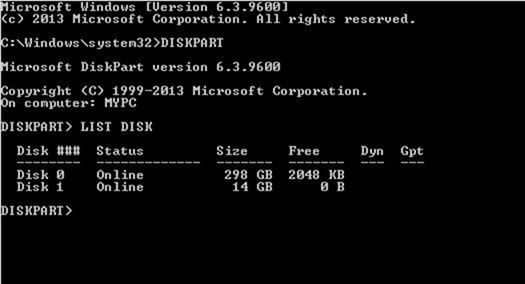 Step 3: In the elevated Command Prompt, type DISKPART and then hit enter key. Now, type LIST DISK command and press the Enter key again to see all connected disks. This is the important step is you should note the disk number assigned for your internal hard disk and your connected USB drive. If you have only one internal HDD or SSD, 1 will be the disk number of your USB drive. As you can see in the above picture, the disk number for my USB drive is 1. Step 4: Type all the following commands one after another and press enter key after each command. IMP: If your PC supports UEFI, please format the drive with FORMAT FS=FAT32 Quick command. Since we aren’t finished yet, please don’t close the Command Prompt. Simply minimize it to the taskbar and then follow the instructions in the next step. Step 5: If you’re on Windows 8/8.1 and have the ISO image of Windows 10, right-click on the ISO image and then click Mount option to mount the ISO file. After mounting, open This PC (Computer) and note the drive letter of it. And if you’re on Windows 7, use an image mounting software such as Virtual CloneDrive and note the drive letter after mounting the ISO. If you’re not sure how to go with it, please follow our how to mount an ISO file in Windows 7 guide for step-by-step instructions to mount your Windows 10 ISO and get the drive letter. In this guide, we’re assuming “J” as the drive letter of the virtual drive where you have mounted Windows 10 ISO. And if you have the DVD of Windows 10, simply insert the DVD into the optical drive and note the drive letter of your optical drive. You can then use this drive letter whenever needed. Step 6: Maximize the Command Prompt that you had minimized in Step 4 and execute the following commands one after another. Here “J” is the drive letter of your virtual drive containing Windows 10 ISO or DVD drive containing installation files. CD BOOT and press enter. In the above command, replace “K” with the drive letter of your USB drive that you’re making bootable. Once you see “Bootcode was successfully updated on all targeted volumes” message, simply close the Command Prompt. We are almost done! 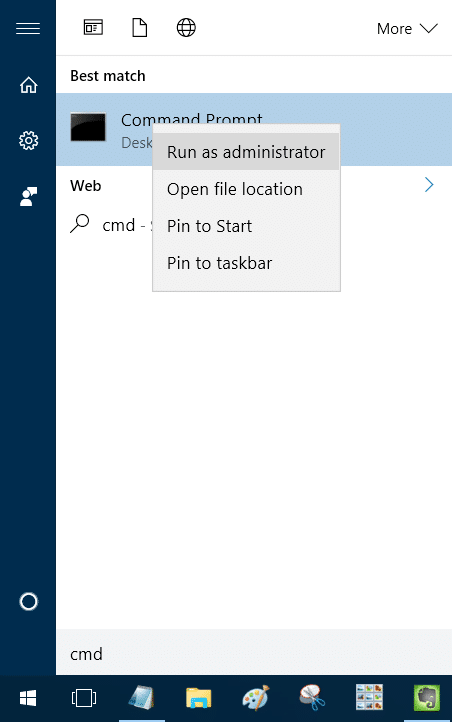 Step 8: Finally, copy all the contents of your Windows 10 ISO image to the root of the USB drive. You can either extract ISO file contents or copy files from the mounted drive. The same procedure applies even if you have the DVD of Windows 10. You just need to copy all files to the root of the USB drive. If you come across any issues while preparing the bootable USB or installing Windows 10, do let us know by leaving a comment. Before leaving your comment, please double check that you have used an elevated prompt to prepare your bootable USB. Enjoy the newest version of Windows operating system! Target volumes will be updated with BOOTMGR compatible bootcode. Could not write new boot code to this volume: Access is denied. (And yes I’m running an elevated cmd) No Bootcode was successfully updated. Thank you so much! Whomever made this page I really appreciate the simple and complete directions you have given. My first ever PC build has been fraught with problems. From foolishly buying a damaged motherboard from a scummy scammer on Craigslist to eight trips to Best Buy to exchange incompatible parts. I finally got it all put together only to be unable to install Win 10 with a retail flash drive from Best Buy. I tried several other methods of creating this bootable media but they either didn’t transfer windows to the flash drive or it wouldnt load into the pc. I spent about 20 hours trying to get Windows installed before I found this page. This took me about an hour and my PC is up and running like a champ. Thank you again. If an 8 step process with pictures feels like too much for you, maybe working on a PC just isn’t your thing. I mean seriously, how could this get any easier? Feels like the 90’s. There needs to be a better way to Install in 2018… please. The instructions in this page are very good. In the latest ISO I downloaded install.wim is too big for FAT32. I have a Surface Pro 4 with UEFI and Secure Boot enabled – is there a way to use this latest ISO? Thank you, thank you. I love how clear these were. I did it in one shot. Well except for one part….After putting the USB stick in I didn’t give it along enough to work. I guess the having patience was implied. Ha ha. If my usb is disk 2 the only change in commands is “SELECT DISK 2”? I have the ISO file in my computer’s storage, Can I still use it? Because I download the ISO from Microsoft and I don’t use installation CD. I really need this because I will start my “Laptop to Desktop” project and I need to install Windows 10 on it because I formatted the main hard drive and now it doesn’t have OS. Can I still create the bootable USB from the downloaded ISO? Asheen says: “What PC are you talking about?” – It should be the PC on which you will install Windows 10. You’re creating a boot for that PC, and depending on if you’re using BIOS or UEFI it makes a difference. Also, make sure the both the version of Windows you are using and the image of Windows you want to boot from are both either 32 bit or 64 bit. If you’re not sure what system you’re using go to >computer>right click computer> select “properties”> look for “system type” it should say 32-bit, or 64-bit. If it says x86 then it’s 32-bit. On older PCs you will need to download a “virtual drive” program (not your question, I know, but others may find this helpful) this program will allow you to mount a digital copy of a cd/dvd, rather than a physical one. I use Daemon Tools Lite, it’s 100% free. Depending on which program you have you need to either “mount” or “open” it. Your PC will then show you a new “drive”. On that drive will be the contents of the cd/dvd. Copy eveything (just left click and draw a box around all the files) and paste them to the usb boot drive as they are. You can’t just double click the virtual drive, you will need to right click and “open” it to see the contents. You should see about 8 items with folders labeled “boot” and “efi” and other things. Abhijit Gite says: “How to copy to the root of the USB drive?” The root is just the first window that opens when you double click the USB from the computer. Just copy and paste the files there. When starting your PC you will notice that right near the beginning there’s a menu that pops up. It says things like “press F11 to enter menu” (or something similar but NOT safe mode). That’s how you will access BIOS which allows you to boot from dvd or usb. Since BIOS has many different versions made by many different manufacturers, there is no way to provide you with steps on how you should do it on your pc. Best way for you to find out is to either get into the bios menu and figure out where everything is, or find another tutorial, or get the manual that came with your motherboard. What PC are you talking about? The one used to create the bootable USB? The one on which Win10 will be installed later? 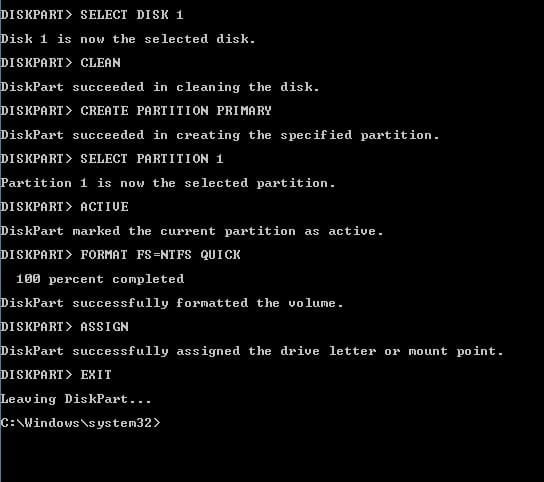 What will be the consequences when choosing either NTFS or FAT32 and what is the relation with UEFI support? It would be nice if the guide provided more details on this aspect. I found this set of instructions to be helpful however I too received an error using the Media creation tool ti get the Win10 ISO. I found this link to download the Win10 ISO. After downloading then follow the steps above to mount it. Several years ago, many (most? all?) USB flash drive manufacturers made a change to the firmware on their USB flash drives that caused them to report themselves to the PC, not as removable drives, but as hard drives (or as SSDs, if you prefer to think of it that way). I forget their rationale for doing this, but recall there was a lot of consternation over this decision, because it would block these newer flash drives from being used as bootable removable drives (ruh-roh). Consequently, a PC wouldn’t be able to boot from these USB flash drives just by setting the boot priority to the removable drive, no matter how perfectly you follow the directions in this (or any other) article on this topic to make any of these flash drives bootable. This drove me crazy for several days, trying to do a Windows 10 clean install on a new SSD on my PC. I tried three different USB flash drives (a Lexar, a SanDisk, and a Verbatim), but none would boot, despite the fact that a fourth USB flash drive (another SanDisk) that was set up as bootable (for a hard drive maintenance utility I use) would boot up just as expected (by setting the boot priority to “Removable drive” in the BIOS). As I was staring at my four flash drives, it suddenly occurred to me that the one that would boot was about 10 years old, while the other three were all less than 2 years old. That’s when I remembered what the USB flash drive manufacturers had done several years ago. My solution came courtesy of the AMI BIOS on my 2010 PC (so YMMV), which allows me to set not only a device type boot preference order (hard drive, removable drive, optical drive), but also a hard drive boot preference order. Opening that latter item in the Boot section of the BIOS (with one of the bootable USB flash drives inserted) displays a list of all my hard drives, *including the bootable USB flash drive* (because it’s reporting to the BIOS that it’s a hard drive, of course). By setting the USB flash drive as “Hard drive 1,” it became the primary boot drive, enabling me to boot up to the Windows 10 installer and perform the clean install on my SSD. As it turns out, this is also the only way I can use one of my newer USB flash drives as a Windows 10 Recovery Drive (but it *does* work for that purpose). As a side note, I’m also able to use this BIOS feature as a boot manager by selecting whether my old Windows 7 system drive or my new Windows 10 is “Hard drive 1.” It’s a little crude, but it will get me by until I’ve gotten Windows 10 configured to my satisfaction, at which time I’ll switch over to using Windows 10 full time. in step 7 when i enter the cord BOOTSECT.EXE/NT60 that time its show me ” this version of L:\boot\bootsect.exe is not compatible with the version of windows your’re running . check your computer’s system information and then contact the software publisher.” what i do now? I have tried this procedure to try to convert my original W10 x64 DVD to a USB stick on my current W10 x64 DVD PC. I don’t suceed, I am stopped at Step 6. G: CD BOOT is not accepted !! Can we use this procedure on a W10 x64 PC ? You are a genius. The process is so simplified. Hi, thanks fir the post it was very helpful but i have problem. My motherboard is gigabyte p31-es3g but i can’t use my bootable usb, can you help me how to set my boot settings? Could you please help me solving this? Worked for me as stated. (2) screwed-up the keyboard and couldn’t log back in. (4) Slightly confused (at first) with Mounting since I didn’t recognize it && thought it was my DVD. (5) At end tried to DOS COPY the source files, before allowing WIN to Copy/Paste Source to Destination. – While it has taken months to find these instructions, I am very thankful to you for posting them. Hi my name is Chad. This is a helpful troubleshooting step. Now I am craving to have a copy of Windows 10 Installer. However, I still have question please check if it is possible to use bootable “External HDD” instead of bootable USB? I’m sorry… Step 8 is a little unclear to me. Could someone explain it to me or could the author of this article upload a picture that goes with it? After following the instruction provided to make my USB HDD bootable, no error came up, everything went successfully until i plugged my usb HDD into the system to install the windows 10. After extraction, a message popped up requesting for an edit of a string of line for x64 installation. Actually, I dont know where to go from here so I pushed the Enter key and the windows logo popped and that’s it. It seemed to hang there. The fact is that, I have installed 32 bits and it was successful. I have tried severally to install x64 but to no avail. It always stops at the appearance of the windows logo. Don’t know what might be this problem. Please if this problem can be rectified I will so appreciate. can you please put pictures to all the steps so that we can simply follow the steps ……how is step 8 and 9?????????? On Windows 10: The line “J:CD … ” required two commands J: enter & CD … enter. Thanks for the instructions. Have you enabled the USB boot in BIOS/UEFI? I followed all the instructions and they were great. However, when I start my new computer, all I can see is a bunch of instructions and nowhere to select USB boot.. when I plug in my USB, nothing happens either.. Any tips? When Installation is done, is there anything special to do before I can use the USB Drive as usual? and tried to install with that USB flash, I got “a disk read error occurred”. It was on an old Asus Eee. I have installed it all but have encountered a problem with activating windows? I am an all genuine windows user! Any help anyone? I follow all the steps perfectly on Windows 7 but the when I boot from the USB it gets to the screen with the blue Windows logo and then just gets stuck there doing nothing ? could it be I did it as NTFS when it should have been FAT32? Or would this be another issue? Issue : How to copy to the root of the USB drive? Issue : From where to enable booting from USB? Please provide steps for same. Is it going to delete all my files? Can you update this article for using the Windows Media Creation tool to create the bootable usb? Will it create a UEFI bootable image? The best way to know if you have the right Disk number is to look in Disk Management. They are listed the exact same way but with drive letters, names, detailed capacities, etc. Hi, I faced some of the issues stated by others, reg. the “elevated Coimmand Prompt” and the message it should apperar in Windows 7 64bits. I got no message and run in it as Admin using the right button mouse menu. To get the “elevated”status or go to the folder of the picture, as needed to run some commands, I just used simple commands as CD.. and CD name of folder. to move to a different drive (J in the example) just CD name of drive, and then type the command when the line shows that drive letter. More important: When installing, Windows 10 says It needs to restart, but DOES NOT ADD: Remove the bootable USB drive before the computyer restarts. Otherwise it starts a new installation, I got to Windows10.old folders that I could remove when noticing I was in a loop. All the installation run smoothly and pretty fast after this. Space required is not quite big and includes Windows media player! Thanks for your encouraging words. As you rightly said, it’s important to follow all steps as mentioned in the article. anyone figure out how to make a batch file for at least the first part yet? The command prompt windows has the name “Administrator”. how do you know that you are in elevated command prompt, not in regular one? Move to CD boot and it should work. The USB drive is booting, then the Windows blue logo comes up and that is it for a few minutes. I did not get the step 8 and step 9. will you guide it with images. I can create a USB stick without issues but my PC won’t boot from it BUT it will boot off my Windows 8 stick. Laptop in question is a Dell XPS 13 and is UEFI-enabled an I add the relevant USB drive to the boot options but selecting to boot from USB just proceeds to boot into Windows unless I use my Windows 8 stick. Any suggestions? @ No, it should be 1 only irrespective of the disk number. Should it stay as 1 or should it be the Disk number? A special thanks to you all for letting me that the guide works flawlessly. If your on a UEFI PC, please format the USB as FAT32 instead of NTFS. I noticed that the Windows 10 iso needs to be same bitversion(32 or 64) as you the windows you are currently running. Otherwise the bootsect.exe will give an error. Or you need to find the right version of bootsect.exe. I can maybe share a pb I had : the “mount” and “burn” options were not available in my file explorer. This is because in my setup .iso file extension were associated with a compression software (peazip in my case). So I just had to revert to file explorer as default prg and the two options came back both in the contextual menu and in the ribbon (under “manage”). Super useful guide that actually worked the whole way through. Most command-spew guides have at least one typo or forgotten command in them. :) Thanks! Off to enjoy Windows 10 now! If you have a more modern machine, won’t you have to also enable legacy/CSM in BIOS?